Article originally published on Spoon University at Berkeley. 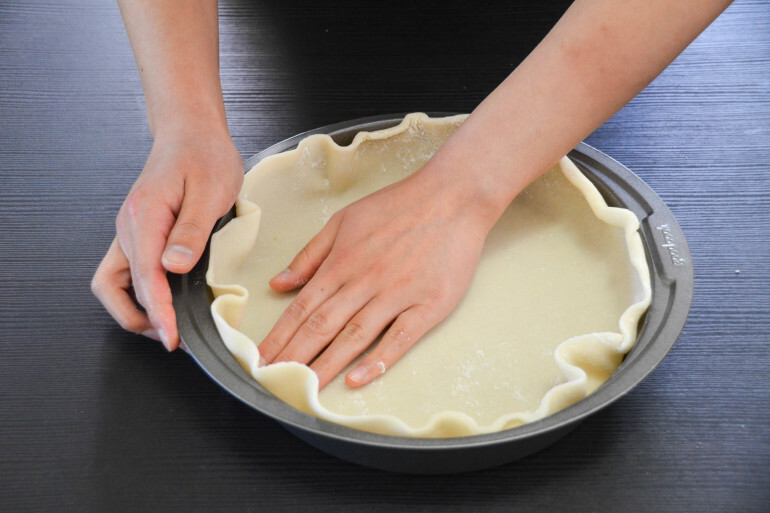 Unroll pie crust into 9-inch pie pan, and flatten against the bottom and sides of the pan. 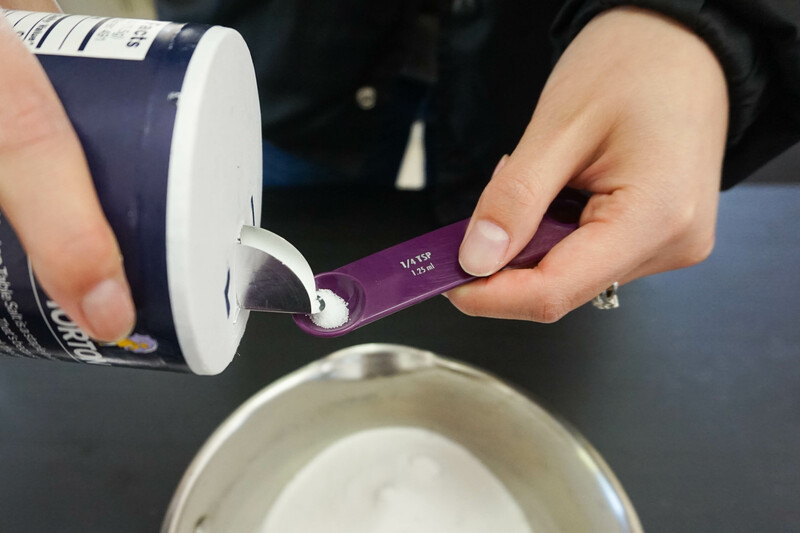 Spoon tip: Use the defrost setting on your microwave for 15 seconds to make the unrolling easier. 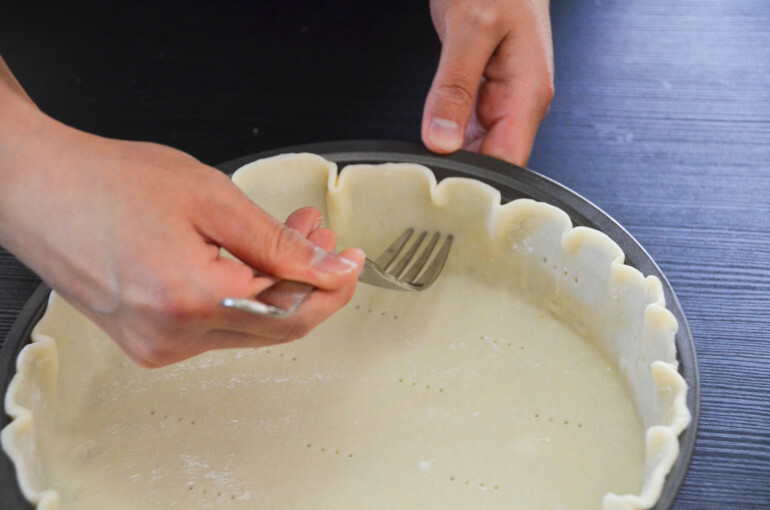 Poke holes in the bottom and sides of the pie crust. 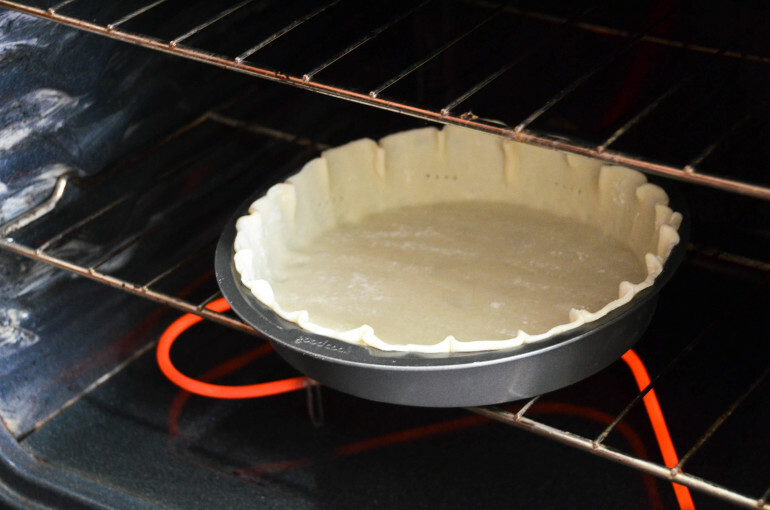 Bake pie crust for 10-12 minutes at 450ºF. 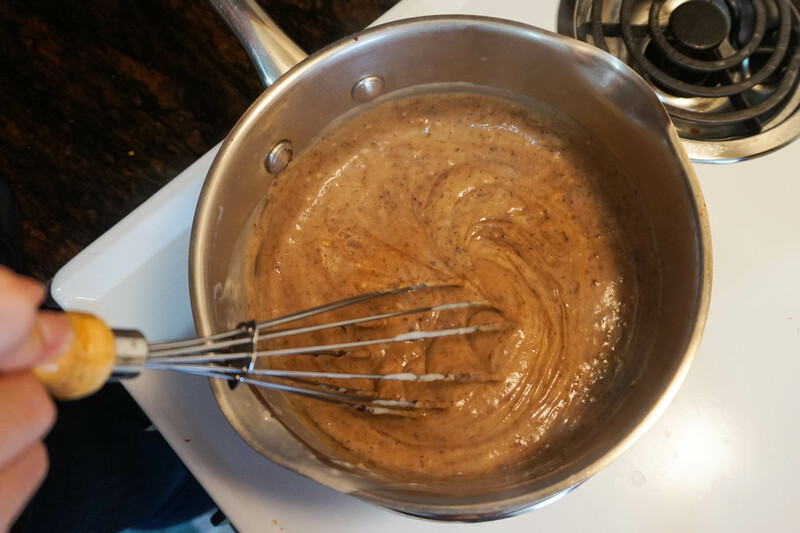 Chop unsweetened chocolate into small chunks. 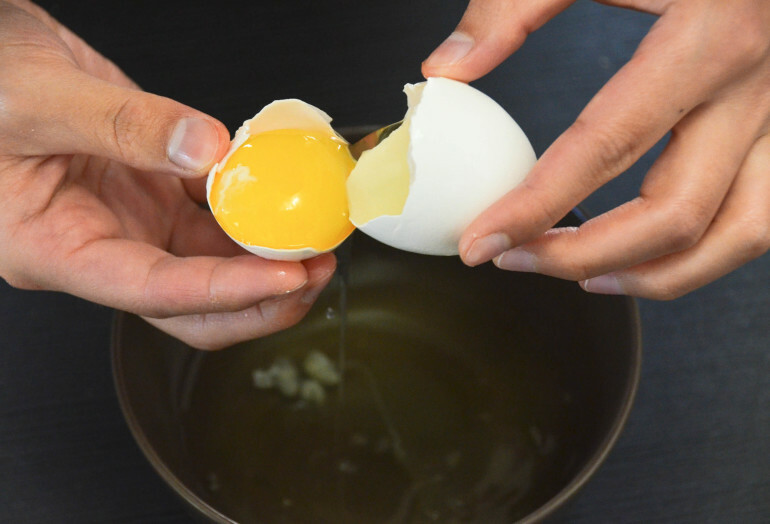 Separate 4 egg yolks. Beat and set aside. 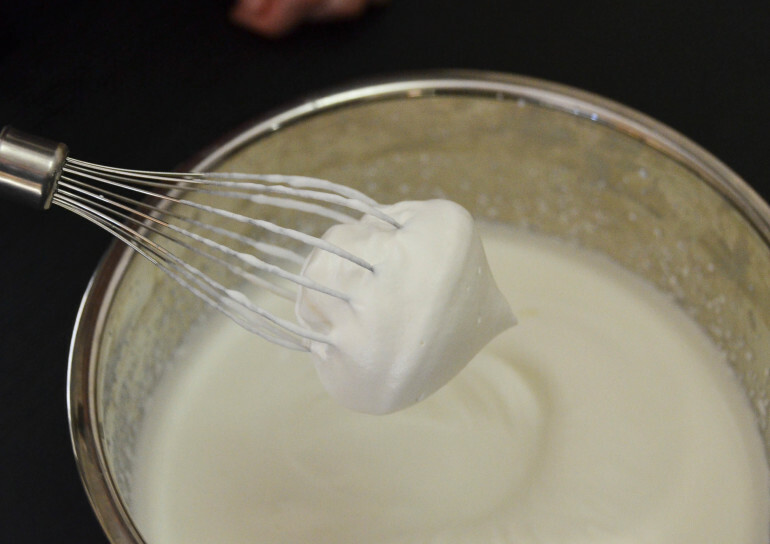 Add flour, sugar and salt to a saucepan, and whisk to combine. 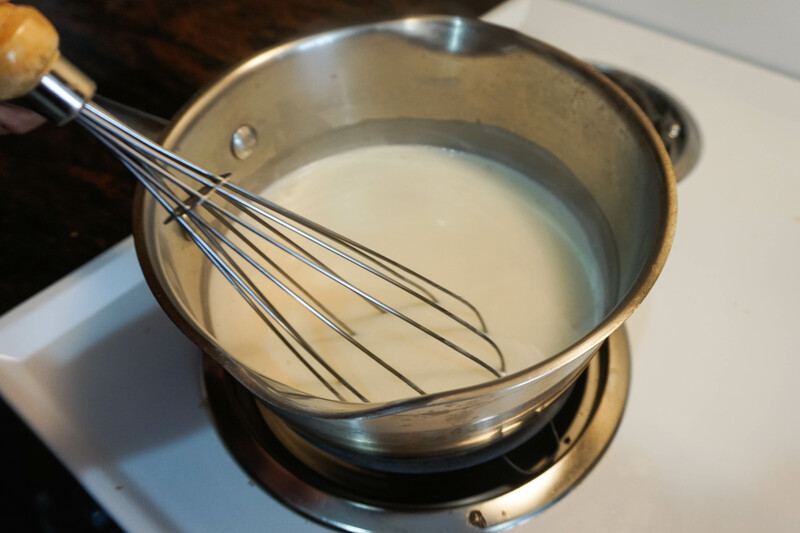 Heat mixture over medium heat until thickened. Stir constantly. 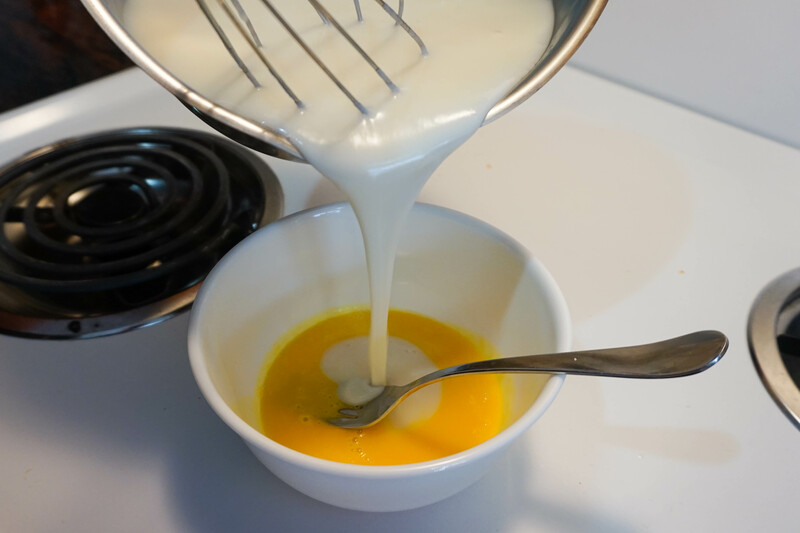 Pour about a cup of the liquid into beaten egg yolks and slowly mix together. 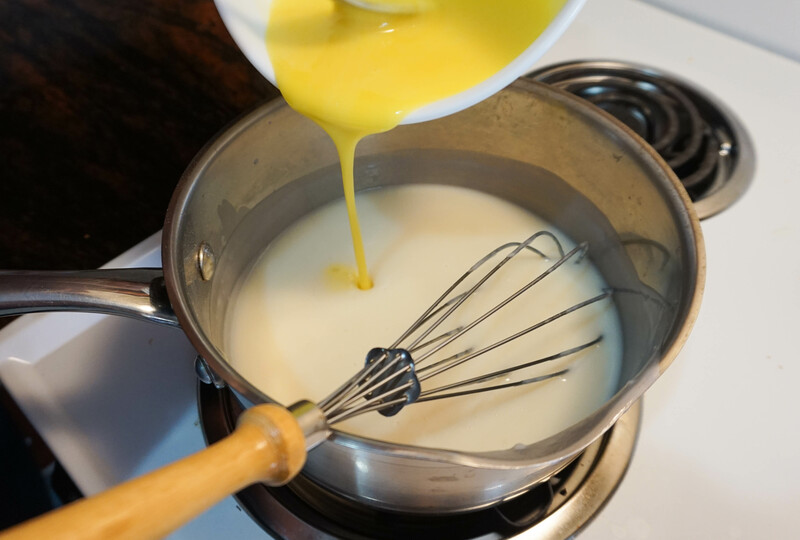 Pour egg yolk mixture back into saucepan and mix well on medium heat. 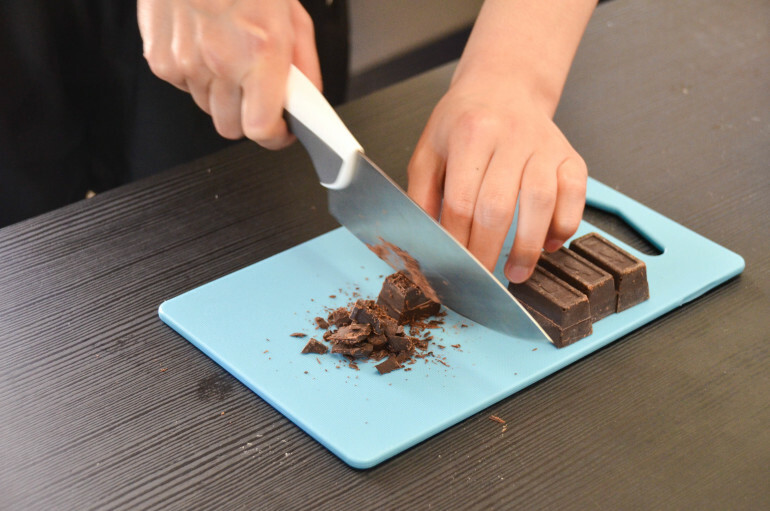 Add chocolate chunks. 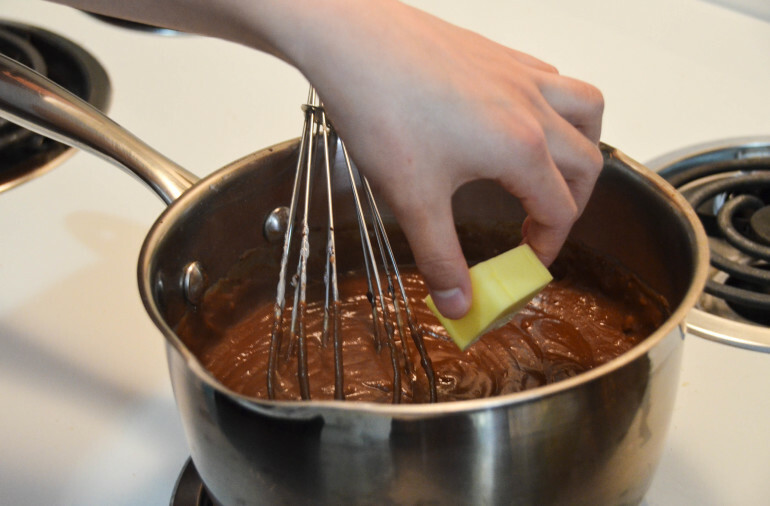 Mix until chocolate is completely melted. 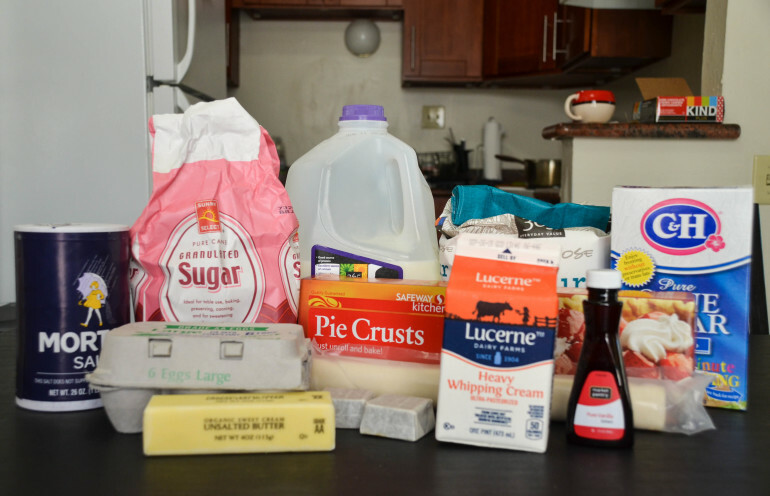 Remove from heat, and add butter and 1 teaspoon vanilla extract. 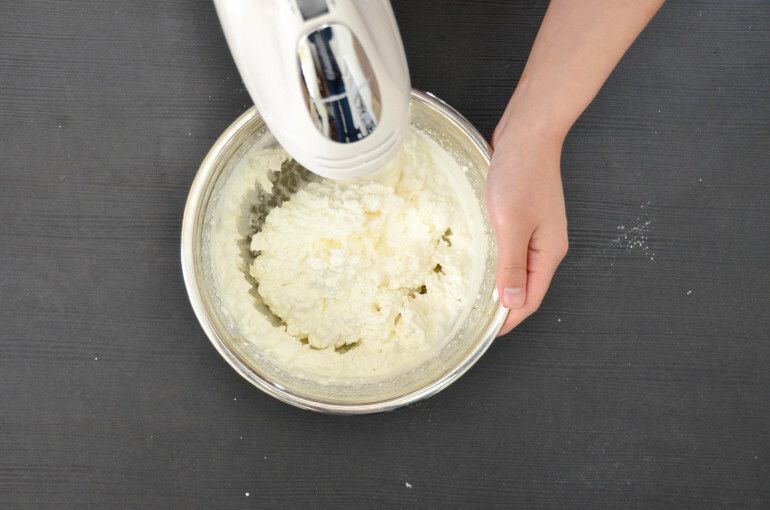 Mix until butter is completely melted and mixture is well combined. 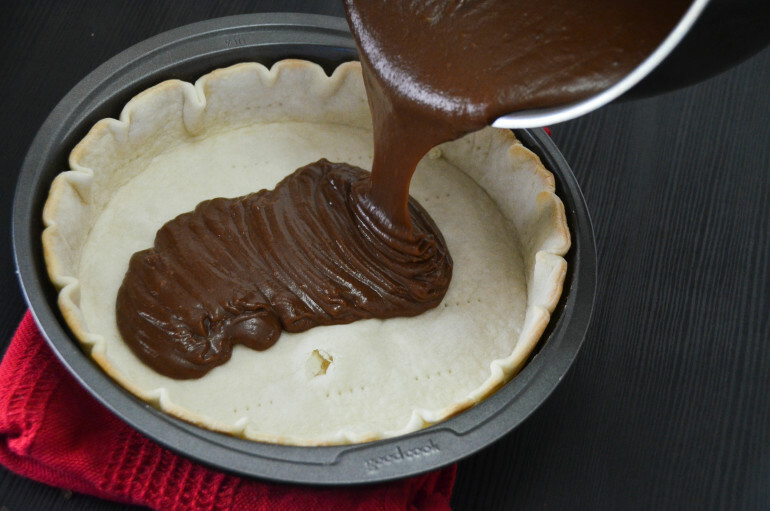 Pour filling into pie crust and let cool. 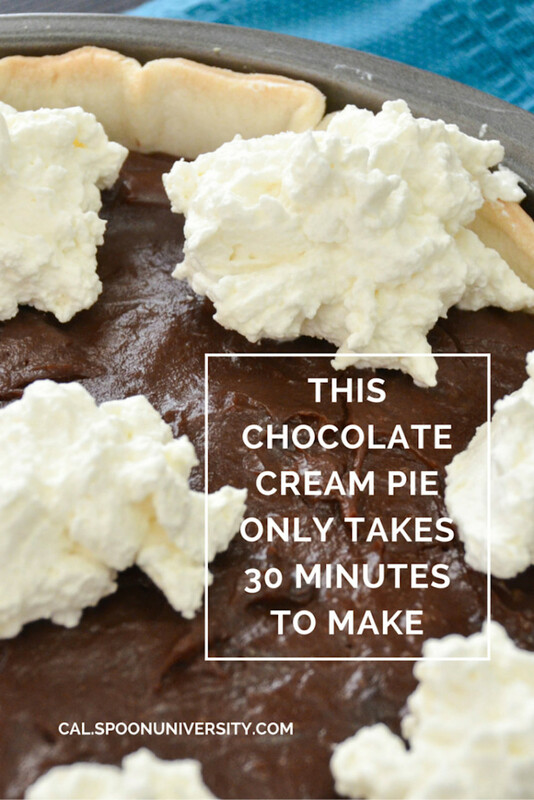 Spoon tip: Place the pie in the freezer for 30-45 minutes if you’re impatient for it to set. 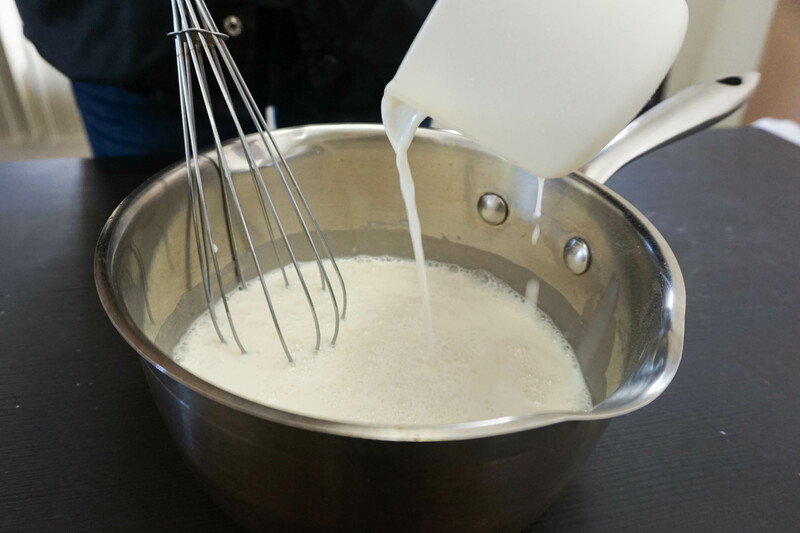 Whip heavy whipping cream with whisk attachment of electric mixer until stiff peaks form. Add powdered sugar and 1 teaspoon vanilla extract. Mix until stiff. 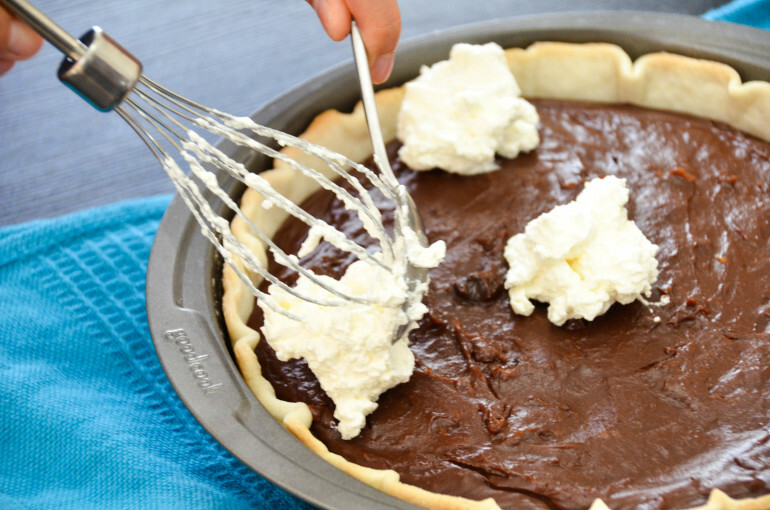 Dollop cream onto pie as desired.